Head of Maintenance for a major metropolitan school district. 18 years in maintenance and facilities management. Servicing over 1,000 schools and close to one million students, with an estimated maintenance inventory of $10 million housed in dozens of warehouses, cabinets and drawers throughout the city. Jaleel’s inventory seems to be growing, but the maintenance staff can never find what they need to complete their work orders. In fact, nearly half of the work orders in the queue can’t be completed because the technicians are waiting for parts. While the work order back logs continue to grow, and maintenance continues to get deferred, the impact on the students’ physical, behavioral and cognitive health is a reality. Budget constraints in addressing this liability threaten graduation rates, the ability to hire quality staff, and the school district’s ability to improve the education its students receive. Improved wrench time and productivity. Jaleels’ trades personnel are losing 20-30% of their daily wrench time traveling to warehouse inventory locations for needed materials. Increased visibility. More than half of the inventory on-hand hasn’t been used in at least two years. Jaleel needs visibility into what he has, where it is, how often it’s used and a way to standardize that information so it can be warehoused and cataloged for easy cross-reference and searchability. Improved parts availability and reduced lead times. In order to address the backlog of maintenance projects, Jaleel needs visibility of orders throughout the supply chain with online delivery tracking. Solutions to Deliver Results for Jaleel. SDI Data Capture and Master Data Management. A team of SDI experts collects your data and establishes a baseline on all SKUs in the storeroom, enabling visibility into usage and purchase trends and allowing you to more effectively leverage your MRO spend. After that, we establish processes for new adds, so your data stays clean. SDI Intelligent Inventory. SDI leverages technology, automated processes and inventory management best practices to optimize MRO spares and consumables, increasing your production reliability and decreasing downtime. SDI eMarket. Leverage SDI’s buying power to get the best prices with this simple, online marketplace of hundreds of thousands of tail-spend and MRO items. Or contact our North American headquarters location if you prefer a more personal touch. Whether through the online system, via text or phone call; manage it all, with a single point of contact. SDI Turn It! Storeroom Set up Project and Storeroom Operations As-a-Service. SDI experts remove excess and obsolete inventory from the storeroom, adapt the lay out to obtain maximum efficiency in product delivery and manage the change process throughout. SDI storeroom solutions can include management of existing client personnel or the deployment of our personnel to operate your storeroom. A systems interface can be established to facilitate a pick, pack and deliver program. Robust supplier metrics, including on-time delivery, are established. Have another solution in mind? SDI offers a host of flexible MRO solutions, projects, and service models. Let’s collaborate and put together the right solution for you and your organization! Contact us today. 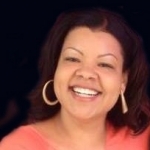 SDI’s talented, incomparable Human Resources Manager, Sheila provides leadership and support for all of SDI with Human Resources related matters.